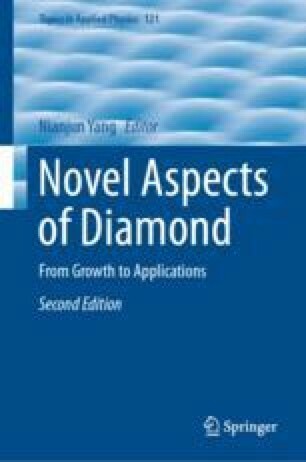 In this chapter the chemical mechanical polishing of nanocrystalline diamond film is presented. It is shown that it is possible to polish a superhard material like nanocrystalline diamond with a much softer material like silica. It has also been demonstrated that this technique can be used for removing polishing marks on single crystal diamond. Experiments with other oxides like ceria and alumina showed polishing action on nanocrystalline diamond films. Surface roughness reduction rate was found to be inversely proportional to the size of abrasive material. Addition of redox agents to the polishing slurry accelerated the roughness reduction of nanocrystalline diamond films. Based on the experimental results and theoretical studies by other groups we have proposed a polishing mechanism for chemical mechanical polishing of diamond. Lastly, we have applied this technique to study its effect on superconducting diamond films. It was found that even after 14 h of polishing, superconductivity in diamond remained unchanged. The results presented in this chapter was supported by EPSRC under the grant ‘Nanocrystalline diamond for Micro-Electro-Mechanical-Systems’ reference number EP/J009814/1 and European Research Council (ERC) Consolidator Grant for the development of ‘Superconducting Diamond Quantum Nano-Electro-Mechanical Systems’, Project ID: 647471.